Huff, puff, blow your house down – there's an app for that | Watts Up With That? The new 3D animated app, available now in the iTunes® store, creates realistic storm damage, allows users to blow a house down and rebuild storm safe. TALLAHASSEE, FL (April 26, 2012) – Want to blow your house down and rebuild it to safely withstand severe windstorms? There’s an app for that. The Federal Alliance for Safe Homes (FLASH)® will launch StormStruck, a new 3D animated app, from the USA Science & Engineering Festival in Washington, DC tomorrow. Available in the Apple App Store for the iPhone, iPad and iPod Touch, users create an intense windstorm with a simple swipe of a finger and observe in realistic 3D animation the kind of damage it can do to an average home. Users then choose from a variety of upgrades that protect the home and enable it withstand high winds. They then learn that everything from garage doors to roof connectors can change the fate of the home and increase its chance of survival. The free StormStruck app, compatible with the iPhone, iPad and iPod Touch running iOS 3.1.3 or later, is available now for immediate download at the Apple App Store. Federal Alliance for Safe Homes (FLASH)®, a 501(c)3 nonprofit organization, is the country’s leading consumer advocate for strengthening homes and safeguarding families from natural and manmade disasters. FLASH collaborates with more than 100 innovative and diverse partners that share its vision of making America a more disaster-resistant nation including: BASF, Federal Emergency Management Agency, Florida Division of Emergency Management, The Home Depot®, International Code Council®, Kohler Power Systems, National Weather Service, RenaissanceRe, Simpson Strong-Tie®, State Farm®, USAA® and WeatherPredict Consulting Inc. 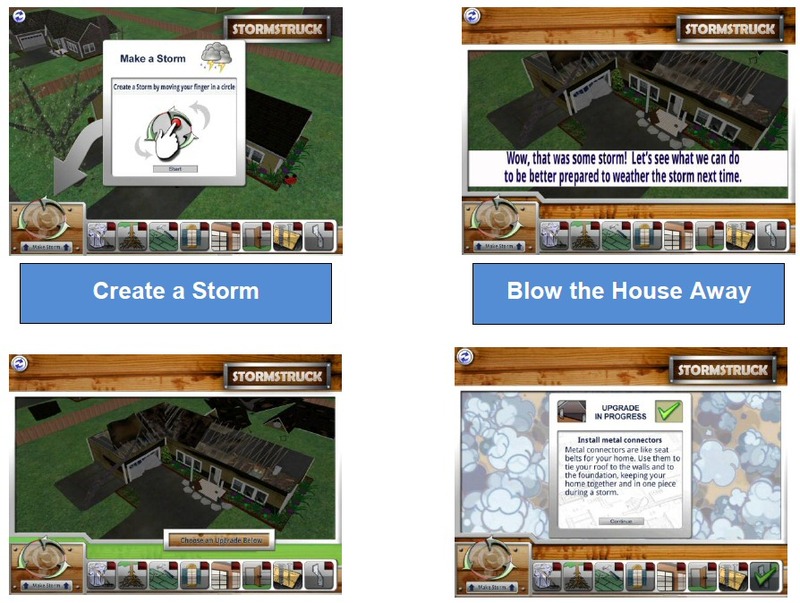 In 2008, FLASH opened the interactive weather experience StormStruck: A Tale of Two Homes® in Lake Buena Vista, FL. Learn more about FLASH and gain access to its free consumer resources by visiting www.flash.org or calling (877) 221-SAFE (7233). Also, get timely safety tips to ensure that you and your family are always well protected from natural and manmade disasters by subscribing to the FLASH blog – Protect Your Home in a FLASH. Re The ABC Climate show. 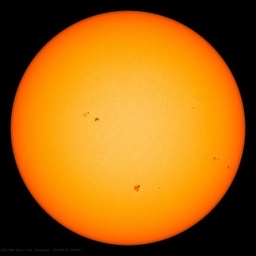 I think it was turned into AGW drivel and then they eliminated the survey results showing 60% were dismissal or doubtful about it so not worth even commenting about on this site. It has always baffled me why people who live in tornado alley continue to build cardboard box quality houses. Seriously. That is is an App is yes, perhaps a bit silly although it is actually probably not a crazy milieu for getting information into the hands of iPhone users of a certain general age range. OTOH the problem is certainly real. There are of course already many channels for the communication of this sort of information, but one has only to look at the extent and nature of major hurricane damage to realize that there is still a big disconnect between the information, those that need the information, and those that need the information, have the information, and have the means to implement it to protect themselves and their property. The app is a tiny drop in that big bucket but hey, it may not make the authors rich but it may make them money, all while filling a need. Hey, my wife plays Stupid Zombies on her iPhone. How could this be any worse? No use getting this one for me – it doesn’t cover “enthusiastic/angry cats”. Or does that fall under “terrorism”? Maybe flippant, but perhaps building your outside a known persistent ‘danger’ zone is probably the wiser thing to do. This has all the hallmarks of the wisdom of the SriLankans which rebuild their huts each and everytime in exactly the same spot the last flood washed them away in the riverdelta’s. Seems rather silly to me. Hey, how about an app for earthquakes, volcanoes, and all the other stuff that the universe throws at us? Why just pick on the South? Most effective way to save your house and life: Cut down all trees on your property. I’ll bet $100 this is not among the listed “solutions”, because Trees Are Holy And We Must Sacrifice Our Lives To Preserve Them. Probably no where in the world is safe from some sort of “danger”. If you’re a fisherman in Sri Lanka, you probably can’t afford to commute an hour or so to a “safe” (however you define that) location, either time-wise or resource-wise. Maybe you can rebuild your hut 50 times for the cost in labor and materials it would take to make it flood-proof once. In that case, keep doing what you’re doing. It’s rediculous how little it costs to make a house in the US hurricane resistant, on the order of 1-3% of the total cost IIRC. It’s mostly how you build it, not what you build it with. Putting a metal roof on a house reduces its vulnerability to earthquakes. Insurance companies in California will give you a discount if you have one. (It also protects against hail.) Another anti-quake measure is reinforcing the cripple wall (the upper half) in the basement with plywood paneling all around. We found a nice spot in the Ozarks so high above sea.level Noah better have an ark ready if we flood, enough hills to limit tornadic strength and duration. Really the only wether thay has ever caused damage has been in the form of ice either giant hail tearing up the siding or freezing rain destroying the trees on the property. Even the one tornado that hit us was only a 0-1 and I rode it out just fine not even a shingle damaged. Well, we used to joke about “Monopoly” teaching the kids to become junior capitalists, and if the modern equivalent teaches ’em to be junior structural engineers that’s okay by me. Plus, it has that all-important element of destruction when you “Blow the House Away” – that sort of thing is always satisfying. All that, and educational too. My sincerest apologies for misusing your site in any way to promote my own. I’m relatively new to the art of promoting websites, and this was indeed a wrong move. Again, please accept my deepest apologies. I downloaded the sucker onto my iPhone … it starts, but I can’t make it generate a storm. Your Federal Government at work … dang, I was really hoping to learn how to protect my house against rip currents like it says in the head post. Speaking of which … has anyone ever heard of a house being destroyed by rip currents? What am I missing here? How about this for an app. Your “phone” tracks your location by GPS, and alerts you when entering a warned area. Or if your “phone” location is within a newly warned area. Forgive me if I am decades behind the current tech. When I moved from the UK to Ontario, I found we now live at the north end of “tornado alley” and was taken back to find that most homes here are built roughly to the plan of a very big box kite! when a tornado hit Victorian homes in the UK it dislodged a lot of roof tiles and blew out a lot of windows, the solid brick stood the wind, a lesson for building codes maybe?? I thought Apple didn’t allow FLASH to run on their gear. Perhaps the rip currents referred to would be those caused by storm surge flowing inland which would then cause rip currents as the water flowed back to the sea. So if your house survived the storm surge it may be taken down by the returning rip currents. If you want a thriving insurance industry, you have to build cr*p houses out of flammable materials. Or http://www.monolithic.com/, domeofahome.com, etc. 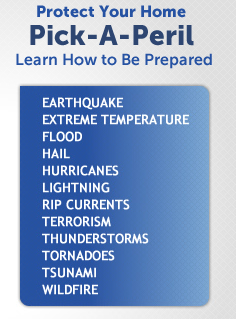 Tornado, rip currents, hurricane, fire, hail, etc. You may lose the front porch in a biggie, but that’s no biggie.